If your vegetable garden is lush and healthy, but doesn’t produce much food… it might mean there’s a lack of pollinators visiting your garden. 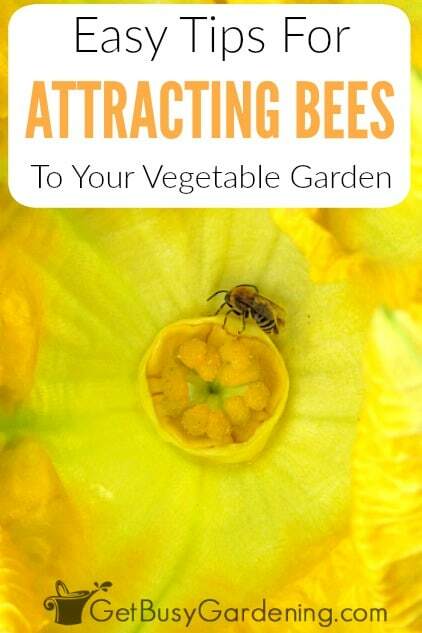 If you’re not sure how to attract bees to your vegetable garden, I’ve got you covered. 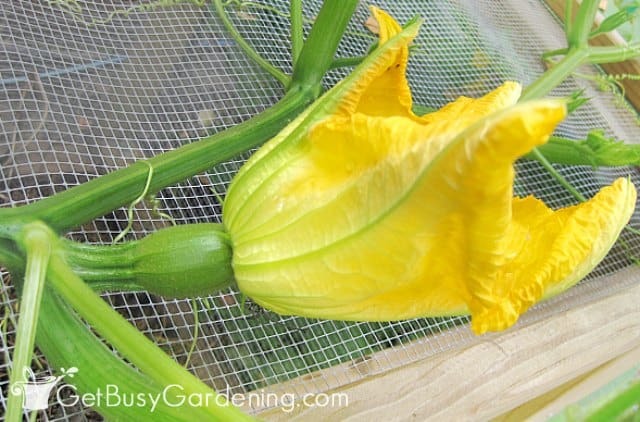 Below you will find easy tips for attracting bees and other pollinators to your vegetable garden. As you probably know, pollinators like bees are responsible for pollination in plants, and therefore super important to have in your vegetable garden. 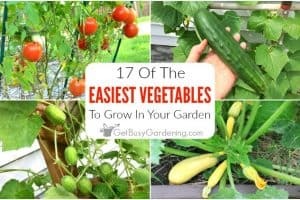 Why Aren’t My Vegetables Growing? 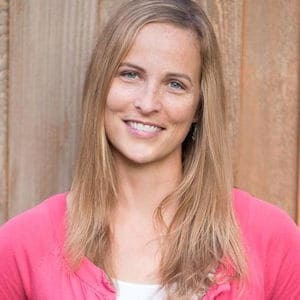 A long time ago, when I was a newbie gardener, I read an article that a woman wrote about how, when she first started out gardening, she had never been a fan of flower gardening. She had a huge vegetable garden and that was her gardening passion. In fact, she said that at that time, there were hardly any flowering plants in her yard at all. She also said that none of her neighbors were gardeners either. The gardener talked about how every year the plants in her vegetable garden would grow huge and have tons of flowers, but would hardly produce any vegetables. I’m not sure what her “A Ha” moment was, but somehow she realized that the problem with her vegetable garden was the fact that she didn’t have any other flowering plants in her yard to attract the bees and other pollinators. 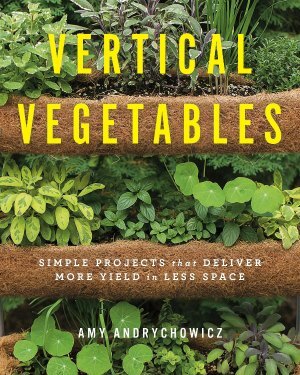 Since realizing this, she started adding plants that attract bees to her gardens and swears that this has made all the difference in her vegetable garden production. After reading that story, I really started to notice the plethora of bees and other pollinators in my flower gardens. In fact, the flowers bees like the most had so many pollinators on them that I didn’t want to go near them (because some of the bees might sting me!). Then I walked over to my vegetable garden. Wow, what a difference! I mean, sure there were lots of bees flying from flower to flower in the vegetable garden too, but not nearly as many as I saw swarming the blooms in my flower gardens. 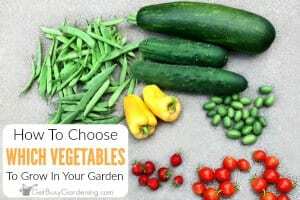 So, if your vegetable garden is growing and flowering, but not producing much food, then you probably need to attract bees to your vegetable garden. 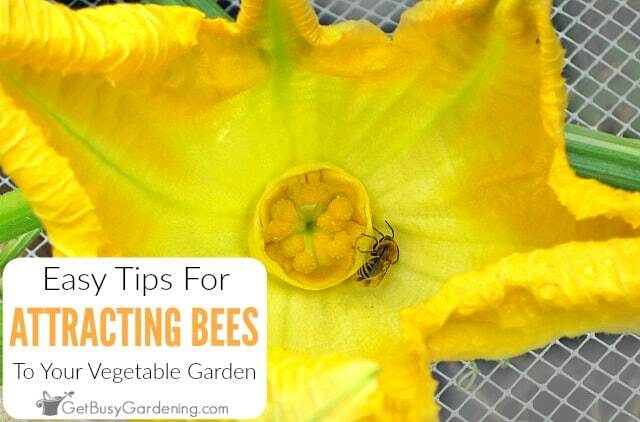 Don’t worry, attracting bees and other pollinators to your vegetable garden isn’t hard. In fact, it’s actually pretty easy. 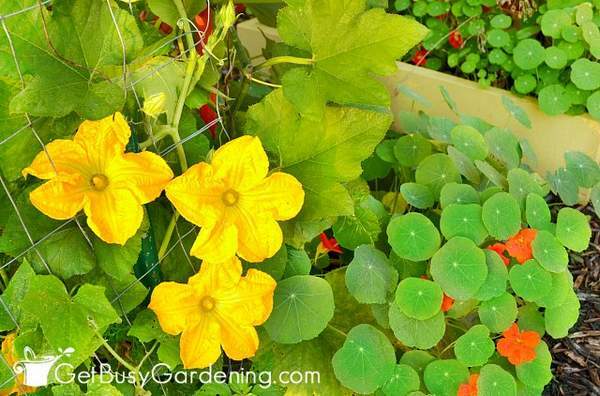 All you need to do is plant flowers that attract pollinators in and around your vegetable garden. I like to intermix annual flowers into my vegetable garden. 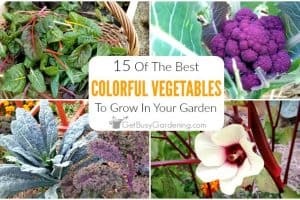 Not only are annual flowers awesome pollinator plants for attracting bees, they add tons of color to the vegetable garden too! 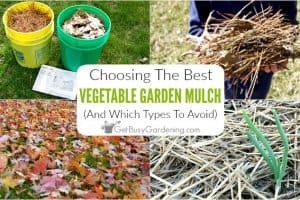 Plus, they are done at the same time as your vegetable plants in the fall, so they’re easy to pull and replant every year. 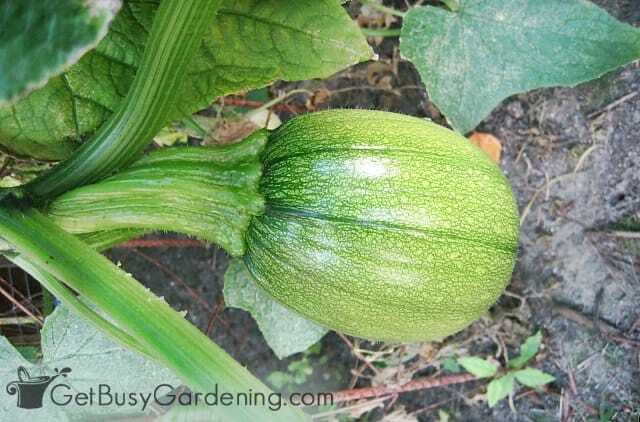 Another thing you can do to attract tons of bees to your vegetable garden is to plant herbs. 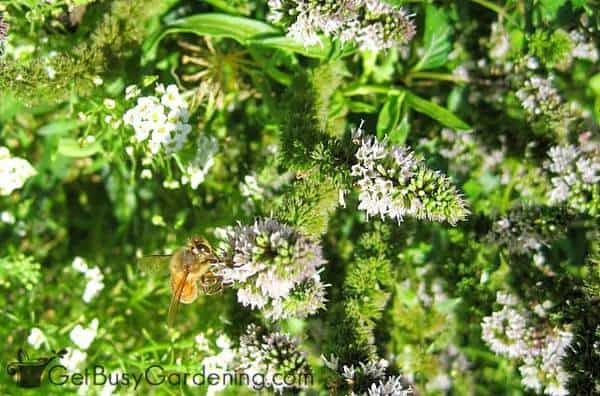 Herbs are wonderful plants for bees, and they look beautiful too. When herbs flower in my garden, they are bee magnets! Perennial flowers are also great for attracting bees, so why not border your vegetable garden with a mix of bee friendly plants that will grow and bloom year after year. Or plant a new pollinator garden bed next to your vegetable garden and fill it with bee plants. What flowers do bees like? 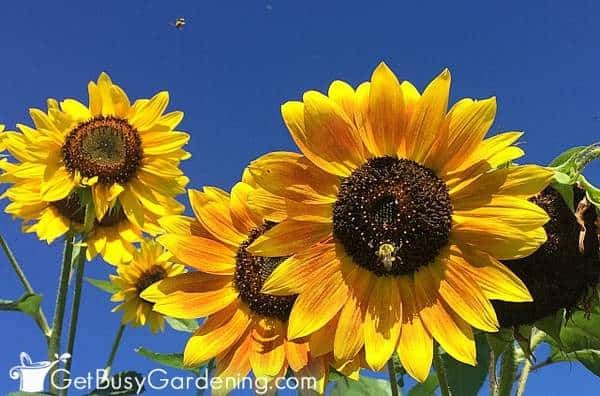 Well, to get you started, here’s a list of 15 pollinator friendly plants that you can grow in and around your vegetable garden to attract bees. 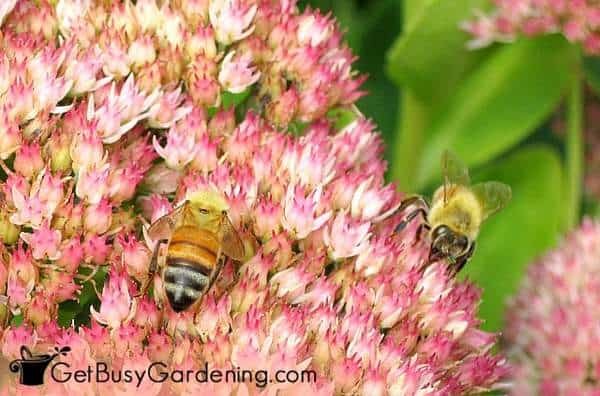 These are some of the best flowers for bees, and they are all common plants that should be easy for you to find at any garden center, or grow yourself from seed. Share your favorite pollinator friendly flowers that attract bees to your vegetable garden in the comments section below. First off, I just want to say that I really love your blog! Which flowers (that attract pollinators) do you recommend for planting alongside vegetables? Hi Tara, thanks for you nice comment. 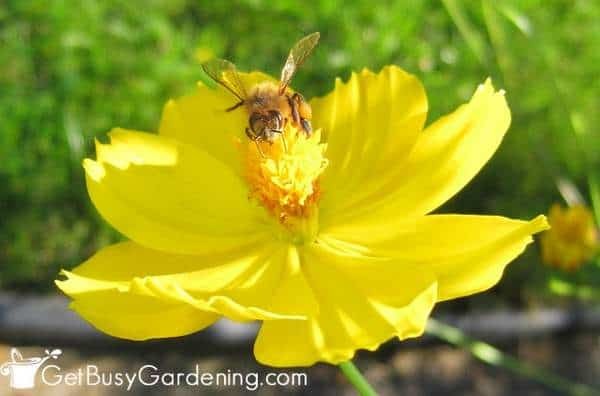 Zinnias, marigolds, sunflowers, cosmos are great annuals for attracting pollinators. As for perennials: mints, sedums, and any perennials that are native to your garden zone are excellent choices.